Move-in-Ready, Fixer-Upper or Money Pit...Which is Your Practice? Move-in-Ready, Fixer-Upper or Money Pit…Which is Your Practice? In real-estate, when you want to list a property for sale, you consult with a realtor to help you determine the best possible price. Sometimes it can be downright shocking to learn that what we think our home is worth differs significantly from the opinions of others. While we are quite satisfied living in our homes, which we build around our tastes and preferences, we often have to make several updates and modifications to make it more marketable. 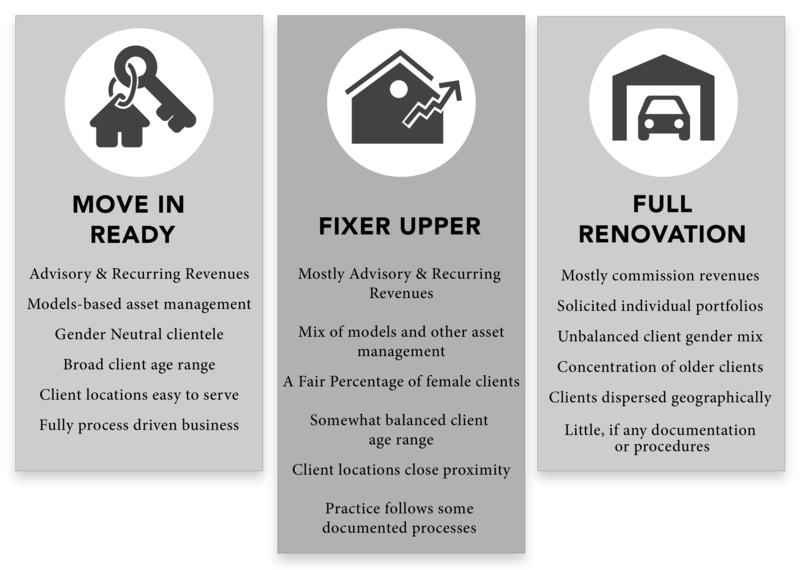 The same scenario applies when you sell a financial advisory practice; however, making much-needed upgrades may take three to five years! So it’s best to start early and determine whether your business is move-in-ready, a fixer-upper, a full renovation or, in fact, a money pit. If you do have some work to do, implementing a plan gives you the added benefits of getting to enjoy the changes you make while still working and earning more revenue in advance of selling your business. It’s like remodeling a house and getting to live in it for a while before you put it on the market. At Financial Advocates we help advisors plan for their next adventure, which likely is not a leisurely retirement, but more like a new venture. With business succession planning it’s best to start ten years in advance. If this sounds like where you may be at now, here is an overview of what we look at when determining the value of your practice. How much is your revenue? $1M in GDC revenue you say? That’s great! But wait, all revenue is not created equal. So let’s peel back the onion a little more and move onto question #2. What are your revenue sources? There are sustainable revenue sources and non-sustainable revenue sources. A sustainable revenue source is recurring and tied to advisory assets. Non-sustainable revenue sources are non-recurring and linked to transactional business or brokerage assets. If your practice generates most of its revenue from brokerage business, it’s time to start annuitizing and transitioning assets so that your practice is closer to 70% or more in advisory assets and less than 30% in brokerage assets. Once we’ve evaluated your revenue, it’s time for us to peel back another layer. What does your book look like? What are the demographics of your clients? Beyond revenue, evaluating the demographics of your client base is critical in helping us to determine the real value of your practice. Two demographics that are the most interesting to us are gender and age. a) Regarding gender, we will want to learn your ratio of male to female clients? Do you have primarily male clients, female clients or is your book gender-balanced? Clients like to work with financial advisors who are similar to themselves, therefore, having a gender-balanced book makes your practice more marketable. For example, if your niche is professional women, your practice is mostly targeted to a female advisor. However, a balanced mix of male and female clients makes your book attractive to most. Gender also speaks to longevity. Since, women live on average 5% longer than men, a more female-oriented practice may not be marketable to the masses, but it does rank higher concerning longevity. b) After gender, we look at age. How old are your clients? The closer your clients are to 70 1/2, the age when RMDs kick-in, the more your book loses value. An older clientele means shrinking assets and revenue. The more a book is gender-balanced with clients clustered around 45 – 60 in age, the healthier the book. On the other hand, if your book is mostly males aged 75 years or older, there is potentially less value in your practice. If after reading some of this information you feel despair, don’t. Solutions are at hand to increase the value of your practice, and we have the expertise to set you on the right path. The key is to get to work now, not when you want to sell. If you want to increase the value of your practice, let’s connect! Give us a call at (360) 866-2345 or send us an email, info@financialadvocates.com. 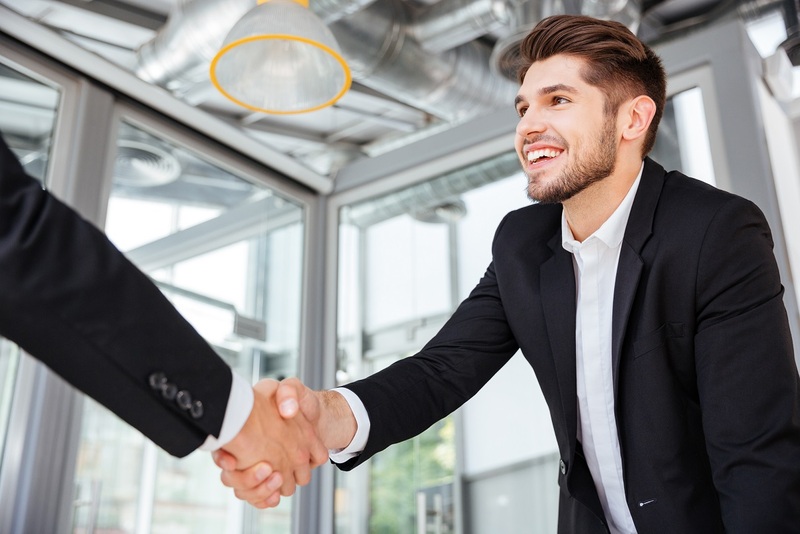 We’d love to learn more about your business!